Circle Pay is available in 29 countries in euros, British pounds and US dollars. It’s free to send money — even between currencies. No exchange rate markups or fees, and you see the rate right there in the app1. 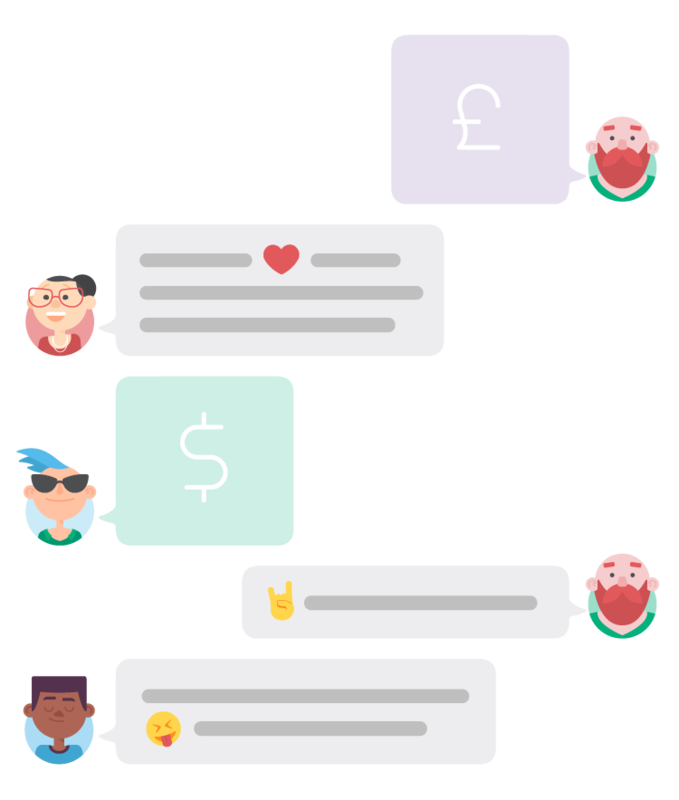 Circle money around in a chat with up to 20 people, so you can quickly settle up for bottomless brunch, footy tix, the Copenhagen trip or just about anything else. Our features help keep your account secure. 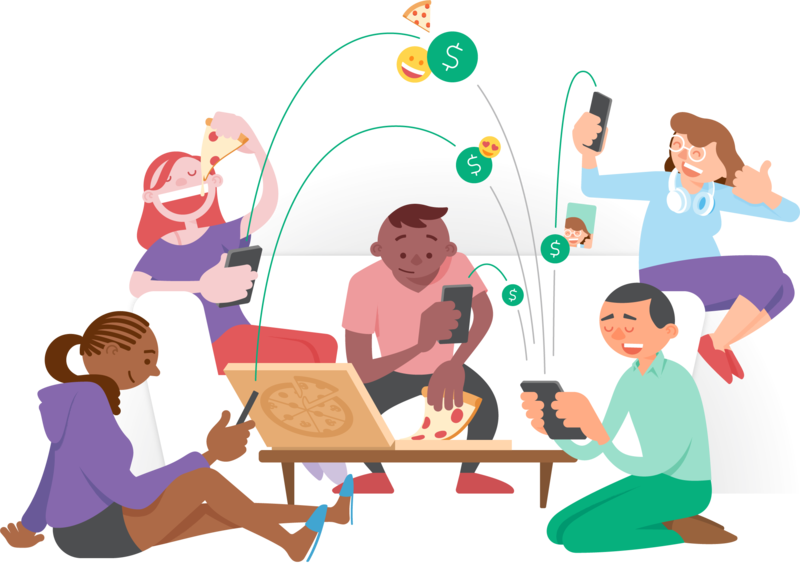 1 The actual exchange rate for a transaction will be displayed to you in the Circle Pay app at the time you complete a transaction.